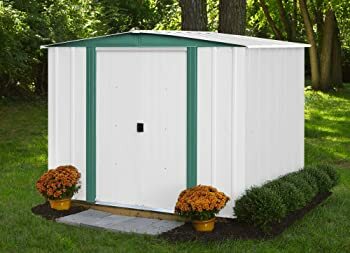 Best Storage Shed Reviews 2019: Find out The TOP 8 Choices! Gather all your outdoor tools and equipment in one place to keep them secure and safe. Purchasing the best metal shed in the market is your best bet to do that. 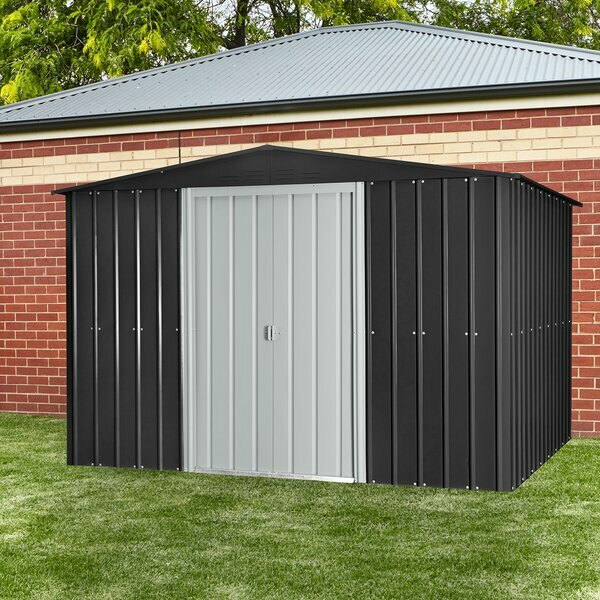 Find out the best value metal storage sheds in the market today, and get to know the best choice for your needs. Read our reviews and have an informed buying decision now! The Best Storage Shed-Reviews of the Best Value Products in the Market Today! 1 The Best Storage Shed-Reviews of the Best Value Products in the Market Today! Simple yet useful— this is exactly how you describe this metal storage shed by Arrow. Arrow is one of the most reputable outdoor storage shed manufacturers for a reason. 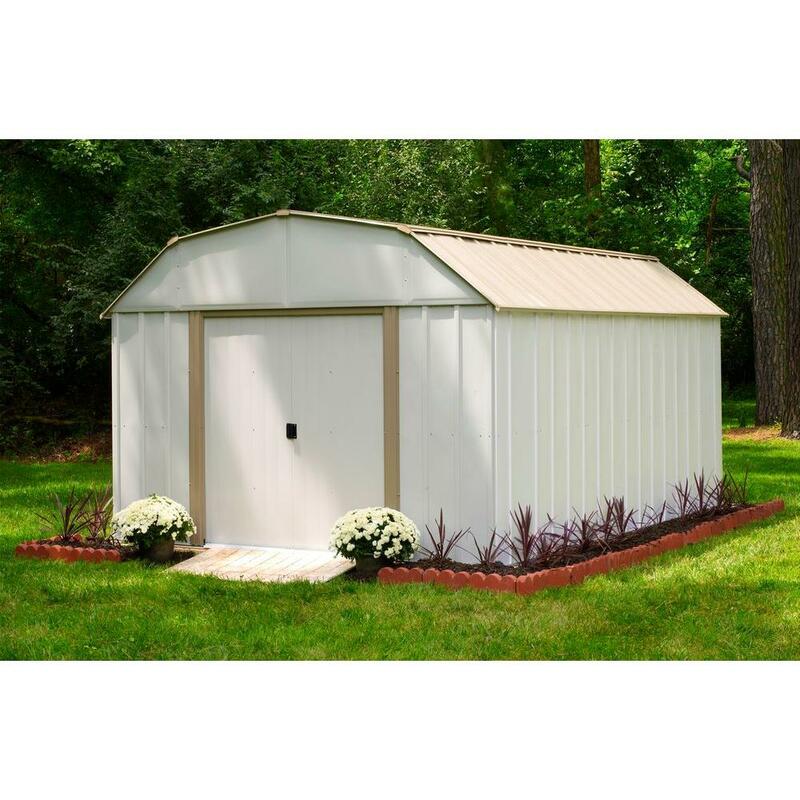 And this Hamlet Metal Storage Shed is one of its best-sellers. This storage has a plain white color with a green trim. The light colors of this shed can instantly brighten your backyard. Many put this metal shed on their best garden sheds list. If you’re looking for something that closely resembles a house, then the Dakota Metal Shed by Arrow is a great option. With a beautiful and beige color combination, this 10-by-14 feet metal storage has enough space for your lawn equipment and pool accessories. This outdoor shed is also equipped with amazing features. This includes a floor frame kit. Another amazing metal shed design by Arrow is this Oakbrook Metal Storage Shed. It has around 769 cubic feet of storage space. But what makes the users happy with their purchase is the wide door opening and the high ceiling of this shed. Its eggshell color combination also makes the storage shed a stunner. Its high gable steel roof design allows you to store big garden tools and long equipment such as ladders. For a mid-range and neutral-colored metal shed, we highly recommend you go for this D Metal Storage Shed by Globel. Constructed from durable materials, this shed is strong and durable enough to withstand different types of weather and other harsh conditions. 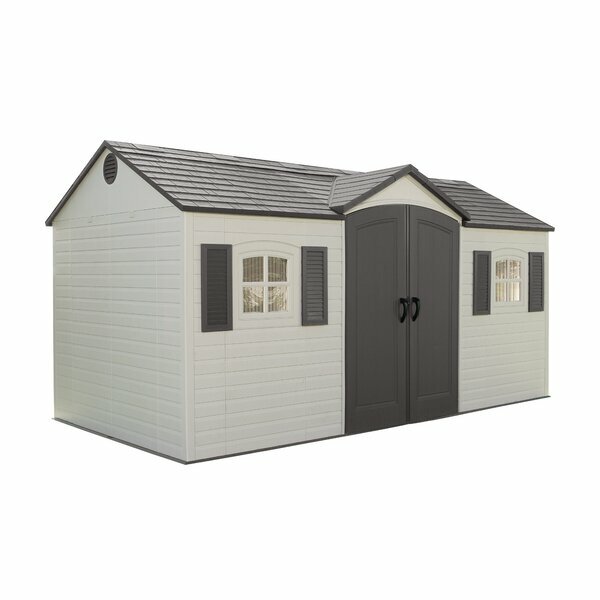 The black and gray colors also make it easier for you to integrate the shed in your backyard. Perhaps you want to add some color to your outdoor view while providing enough storage space for your garden tools? Well, this Metal Garden Shed by OutSunny is the perfect addition. It has white and green colors, which really suit well if you plan to put it in your garden. The color choice makes the shed camouflage well in the midst of green trees or shrubs. We love the colors. This gives you enough storage space in a stylish way. Has a sloped roof design, which is perfect for the rainy season as it prevents water to be trapped on the roof. Metal Storage Shed shouldn’t be ugly-looking. It doesn’t matter if you store dirty tools inside; its outside appearance should be pleasant to look at. Introducing this heavy-duty and stunning metal storage shed by Duramax— the Imperial Metal Garage Shed. This is an ideal shed for huge tractors, RVs, cars, and other tools and equipment you can think of. Its heavy-duty steel construction is galvanized for added durability. 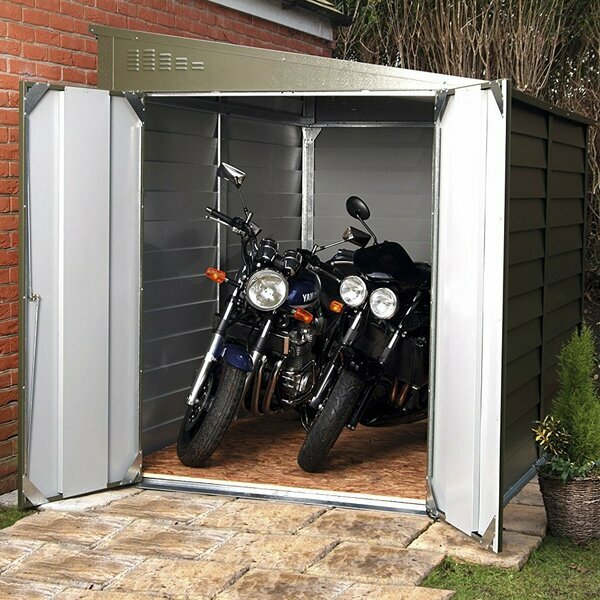 This lean-to type metal shed is the perfect choice for motorbike storage. It’s like a garage metal shed but has less space. It can only fit 2 big motorbikes or 3 small ones. When it comes to material and construction, this metal shed is at the top of the game. This is the best bike shed for motorbike owners. This has a total storage space of 332 cubic feet. The double doors can be placed on either end of the garage shed. With a proper ventilation; hence, despite its small space, you’ll have enough air circulation. If metal isn’t really your cup of tea, then why not give plastic sheds a try? This Storage Shed by Lifetime is made from plastic material but is constructed with precision and efficient design. It has a pleasant color combination of gray and beige and is reinforced with high-density polyethylene (HDPE) as details. This also features good ventilation with 2 windows to allow air inside the storage. 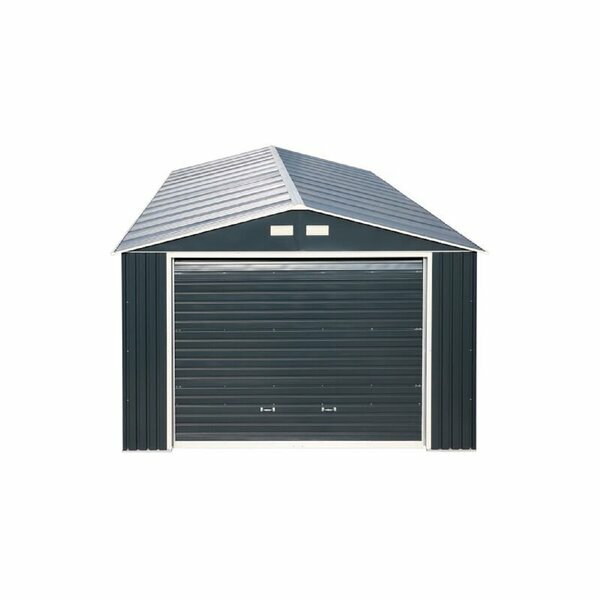 If we were to choose the best metal shed on the list, we’d highly recommend the Duramax Building Products 12×20 Feet Imperial Metal Garage Shed. 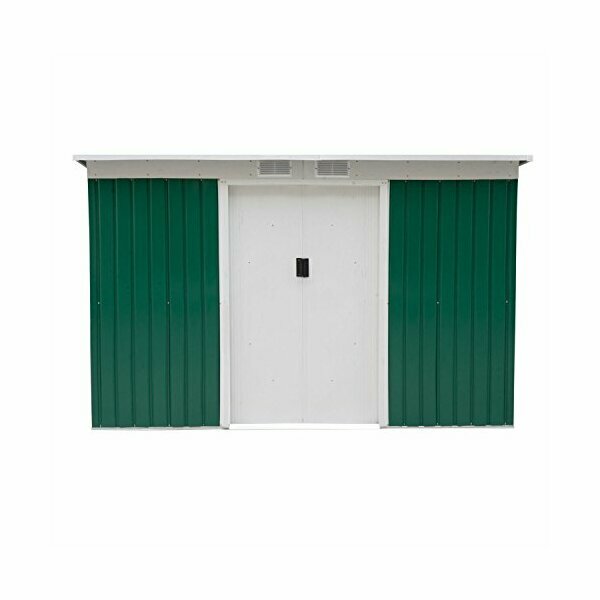 This metal shed has ticked all qualities that you should look for in a metal storage shed, namely: durability, ventilation, maintenance, door type, and warranty service. The only major downside of this product is that it’s a bit difficult to customize. We personally love the fact that it has an overhead door, as this door type makes access to the metal shed a lot easier. This is also the best door type if you were to store garden mowers or tractors inside. Moreover, products made in U.A.E. are known to meet high standards, so we are confident this product is of high-quality. Lastly, this product seems to have a pretty good standing in other online metal shed reviews. If you have tools and equipment loitering around your house, then it is high time you find the perfect space to store them. 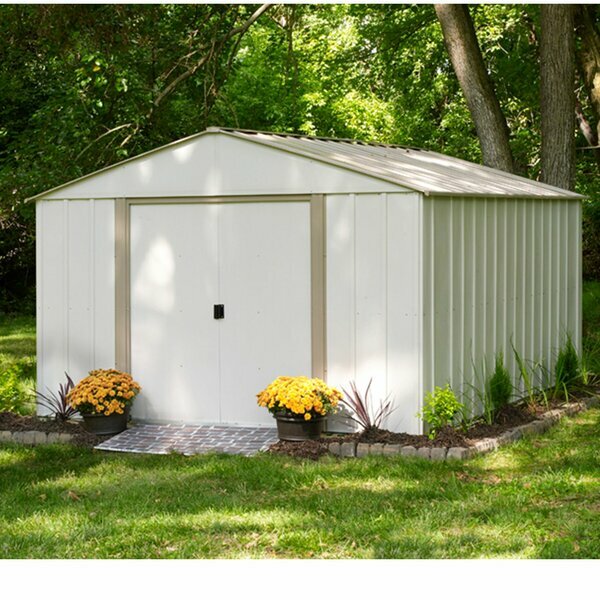 Get your own metal storage shed now!